Naviance Support Services are standing by to help resolve your issue and keep you moving throughout your day. 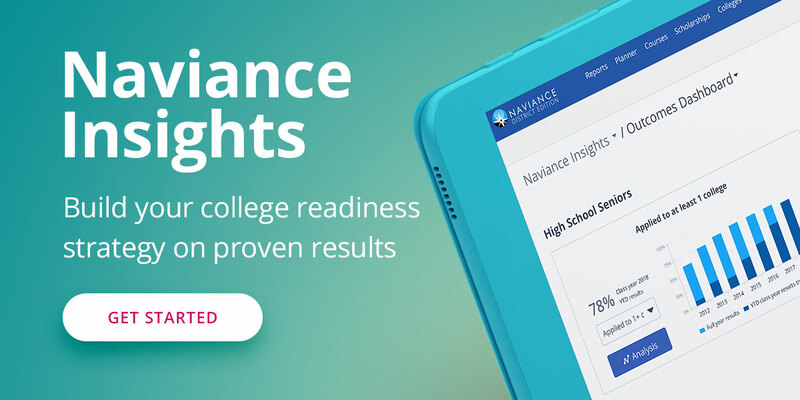 Naviance is available to all K-12 schools worldwide. How does Hobsons protect student's data privacy? At Hobsons, we take seriously our obligation to protect the privacy and security of student data. We also believe it is our responsibility to ensure that our clients have clear information about how we collect, use, and secure their data. Hobsons does not sell student data to any third parties. Hobsons never shares personally identifiable student information with third parties without a students’ permission. As a student, how do I log in to Naviance Family Connection? Students can login to Naviance Family Connection here. As a parent, how do I log in to Naviance Family Connection? Parents can login to Naviance Family Connection here. My school doesn’t have Naviance. Is it possible to purchase a license for myself or my child? Naviance is only available for purchase by schools, districts, and not-for-profit college access organizations. It is not available for purchase by students and families. My school has Naviance and I have a question about the product. How can I get help? Please contact your school about your question. Naviance is often supported by school counselors, but your school’s staff can help you find the best person to answer your question. How do I contact Naviance Support Services? School and district staff who are using Naviance can contact Naviance Support Services by emailing support@naviance.com or by calling 1-866-337-0080. For immediate answers to common questions, please see the Naviance Network Help Library. How do I log in to Naviance? School and district staff can login to Naviance here. Can my school or district use the Naviance logo in our communications to students, parents and/or staff? Yes, Naviance clients are welcome to use our logo in communications. You can access the Naviance logo here. How can I learn about continued training for Naviance? Hobsons offers a variety of Naviance training options designed to fit your schedule and desired outcomes. You can review options online or call us at 1-877-337-0080 for more information. How do I contact my school or district’s Account Manager? To reach your account manager, please submit a Contact Us inquiry. What Naviance activities are recommended for each grade? Hobsons has developed recommended Naviance activities by grade level. Current clients can access that resource here. If you are from a school or district and would like to see these activities, please contact us 1-877-337-0080. How are other schools using Naviance? Every school is unique and schools use Naviance in many different ways that will best help their students. This includes creating course plans that align to postsecondary aspirations, inspiring students with videos from Roadtrip Nation, sending high school transcripts, and much more. We invite you to learn about ways to utilize on our blog (subscribe for updates), through case studies, and at Naviance Summer Institute. Some cities and states even have local Naviance user groups, organized and supported by Naviance users. To see if there’s one in your area, check the Naviance Network. I’m interested in writing for the Naviance blog and/or presenting at a conference. Who should I talk to? If you’re interested in writing for the Naviance blog or presenting with us, please contact Emily Goebel at Emily.Goebel@Hobsons.com.